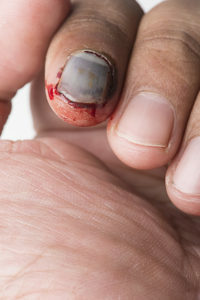 Nail bed injuries are common in both adults and children. Classically they are caused by trapping the finger in the door, but also occur as a result of a crush injury. Patients will experience pain, swelling and bruising at the fingertip. Blood can collect under the nail and this can be especially painful. The first step is to undergo a consultation, involving a medical history and clinical examination. Mr Naqui may organise further tests such as an x-ray. An x-ray can reveal if there has been an associated fracture of the bone underneath the nail bed. Primary treatment usually includes checking for tetanus cover, cleaning the injury and antibiotics. 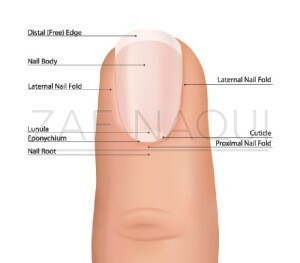 If the nail bed is injured significantly, this may result in disturbed and problematic nail growth which can lead to pain and difficulty using the finger. In this situation, the nail bed may benefit from surgical repair. Mr. Naqui will discuss the options with you. Mr. Naqui and the hand therapist will then provide you with a specially adapted splint and specific exercises to perform to maintain normal movements in the rest of the hand. Stitches are usually removed after 10 days. 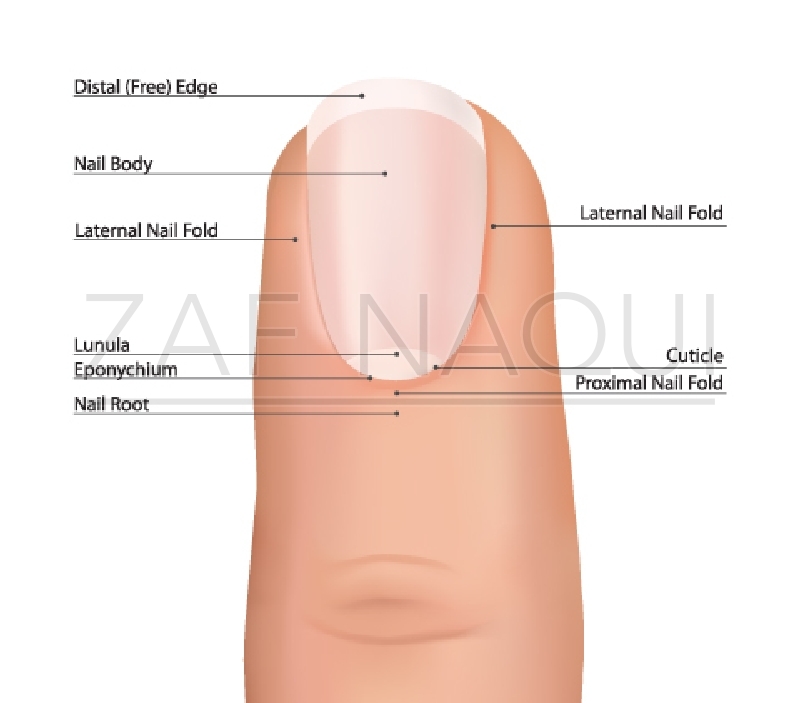 Following nail bed healing, you will be given formal exercises to regain full flexibility of the fingertip. Mr. Naqui will discuss with you regarding return to sports depending upon your particular sport – as a protective splint could be worn to help you get back to sport earlier. Driving can safely be resumed at around 2 weeks. Return to work is dependent on the nature of you work but usually expected within 2 weeks if it is non-manual work. You can discuss this with Mr Naqui at your consultation. The main potential complications that will be discussed with your prior to gaining consent for surgery include nail deformity, pain, swelling, infection, stiffness, scarring and numbness. In a proportion of patients nail growth may still be disturbed due to the severity of the original injury. If this were to happen then there are further non-surgical and surgical options, which you can discuss with Mr Naqui.